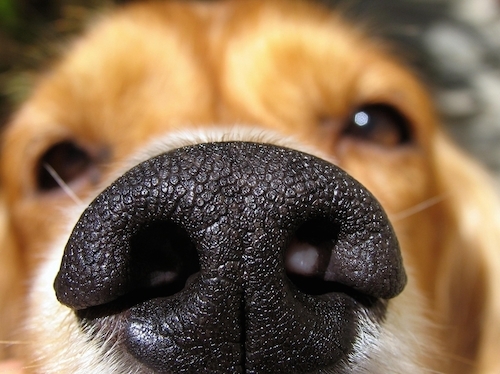 Can dogs sniff cancer? This is the very interesting topic we are going to delve into today. The prospect of cancer sniffing dogs is an exciting one, and as we will see recent studies have concluded in the affirmative. Some dogs can detect certain types of cancer using their extremely sensitive sense of smell. However, many in the medical fraternity remain unconvinced. The recent study was carried out by researchers at the Istituto Clinico Humanitas in Italy. The Italian researchers used a group of 677 subjects, making this the largest study ever conducted using cancer-sniffing dogs. The researchers created an efficient test for this study. Out of the 677 subjects used, one group of participants was cancer-free. The second group contained individuals ranging from those with low-risk tumors, up to subjects where the cancer had spread. The two dogs sniffed urine samples, and were able to identify up to the aforementioned 98% accuracy where prostate cancer was present. The results were presented at the American Urological Association in Boston. We all know that our dogs have an amazing sense of small. 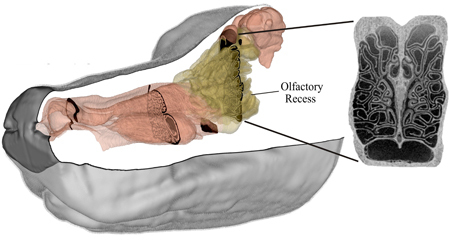 The theory behind the trained dog’s ability to detect cancer stems from the fact they have four times the number of olfactory cells as humans. It is believed that this makes their sense of smell sensitive enough to detect the volatile organic compounds emitted from cancer tumors. Once trained to recognize the presence of such compounds in urine, the dogs have the ability to successfully diagnose the existence of cancer. However, the results of this latest experiment have not excited everyone. There remain many within the scientific and medical community who doubt the feasibility of e widespread use of cancer sniffing dogs. 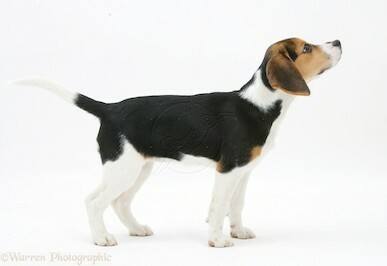 Research into a dog’s ability to detect cancer is nothing new. Research has been carried out in this arena for over 25 years, with fully funded clinical trials taking place in the last 10. A reason many critics have their view stems from the fact they feel such research is very often methodologically weak. From a practical perspective medical practitioners feel, (and quite rightly so) that bringing dogs into medical practice has its own set of complications, and that machines are easier to use and more predictable in the long term. Of the trials conducted over the last decade, the skeptics have been quick to find fault. “I’ve been working in this community a long, long time, and people often make outrageous claims,” says Lawrence Myers of Auburn University. He also states that most cancer-sniffing dog studies are inadequately blinded. Myers believes that the dogs are able to react to visual clues inadvertently given from the researchers. Others complain about the lack of samples in most studies. A small number of training runs followed by a small number of tests is not enough to prove that a dog can reliably detect cancer over the course of its lifetime. However the recent Italian study with over 677 subjects is unlikely to receive the same criticism. One very valid point surrounds the difficulty in translating the various cancer sniffing trials into a clinically relevant procedure for the diagnosis of the disease. The recent study included urine samples from patients that were already in the advanced stages of cancer. The fact is, modern techniques are already very adept at recognizing advanced prostate cancer, without the need of using dogs. Charles Ryan, professor of medicine and urology at the University of California, San Francisco, states; “We don’t have a problem detecting prostate cancer—we have a problem matching the level of treatment to the level of risk,” He believes that cancer-sniffing dogs do not represent a significant new technology. Finally, the legal obstacles involved in using dogs to detect cancer are wide ranging. The FDA is the regulatory body in charge of medical devices. Will they be in a position to oversee the training, housing, care, and disposal of thousands of dogs for cancer detection? And of course there is the issue of liability. What happens when a cancer dog misses a diagnosis, or misdiagnoses a harmless sample as cancerous? The dog obviously cannot be held to blame, will that responsibility fall to the trainer? Will medical malpractice insurance be willing to open their policies to dog trainers? With what is at stake, it seems unlikely. So overall, while on the face of it, the evidence that dog’s can detect cancer humans is already been proven, there remain complications, both in the studies themselves and the in practical use of cancer-sniffing dogs. Nonetheless, it is an interesting area of developing medical science, and as lovers of dogs, gives us yet another reason to be in awe of the skills of these beloved animals.